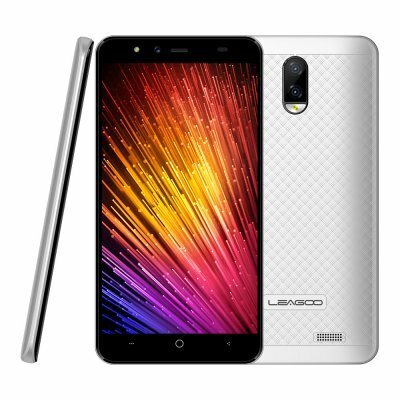 Successfully Added Leagoo Z7 5 Inch 8GB 1.3 GHz Quad-core Processor Smart Phone White to your Shopping Cart. 5.0 inch full wide VGA display packed with pixels of 480x854, offering an optimal balance between stunning visual erperience. Combines dual lenses with two seperate sensors, giving you superior photes wherever you go. Features a 1.3 GHz quad-core processor with four Cortex-A7 cores intelligently adjusting power consumption. Large 8GB of Rom and 1GB RAM, which brings better multitasking performance.